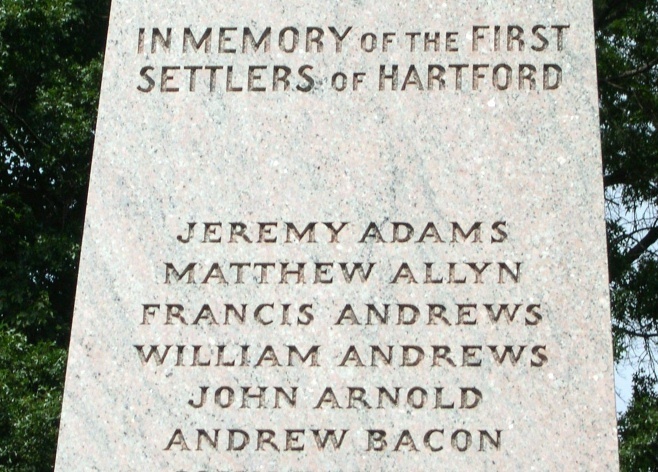 Jeremy Adams’ name is listed on the Founders Monument in Hartford. This monument is located in the Ancient Burying Ground, which is located to the rear of the First Congregational Church at the corner of Main and Gold Streets in Hartford. This cemetery is also known as Old Center Cemetery.